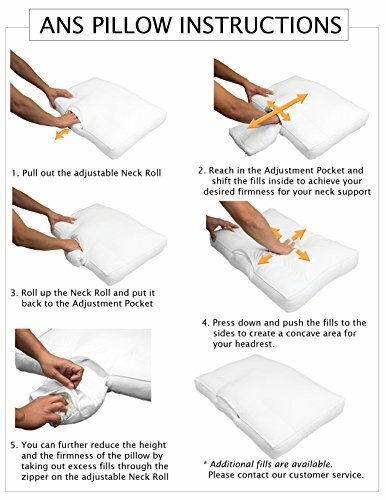 This Patented Feature allows you to adjust your Neck Support Zones and Headrest by shifting the fills inside, shaping the pillow to customize the support of your neck curvature, maintaining your head and neck in neutral position while in sleep. 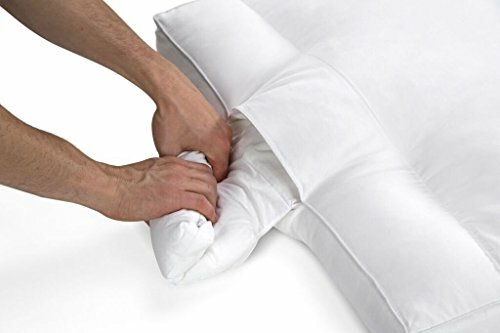 You can further adjust the firmness of the pillow by adding or removing the fills through the zipper at the bottom of the pouch. Our shredded gel memory foam is CertiPUR-US certified. 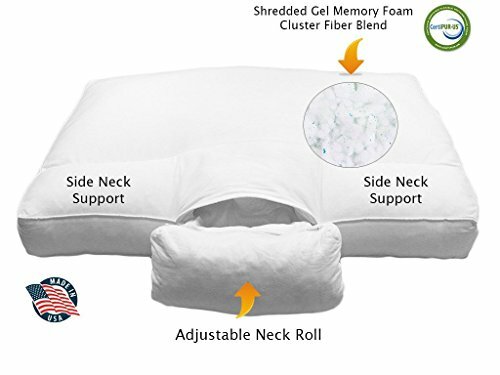 When combines with polyester cluster fibers, it gives the cradling nature of gel memory foam, plus the fluffy nature of polyester cluster fibers. This proprietary blend provides Cloud-Like Sensation with Orthopedic Support. 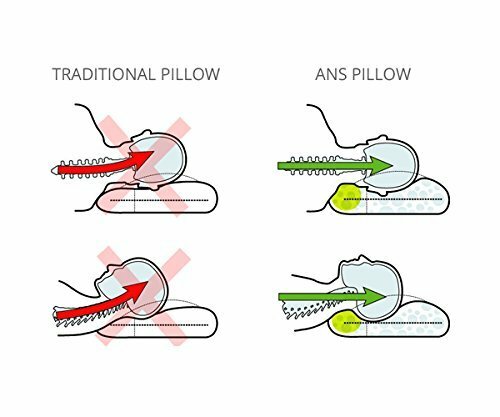 ANS Pillow is fully adjustable and can help alleviate neck pain, reduce snoring, and provide better blood circulation. It is naturally hypoallergenic, dust mite resistant, and 100% machine washable! 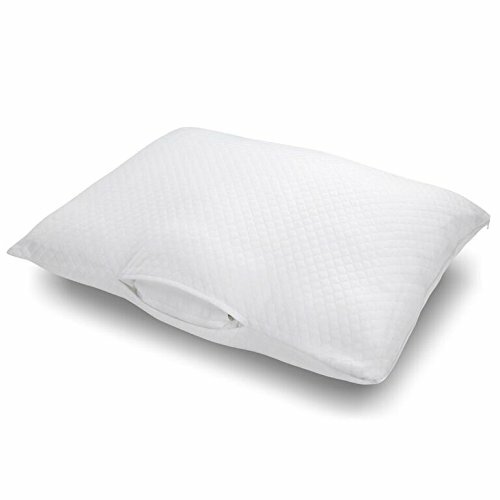 We are confident that this ANS Pillow will be the best investment for your deep sleep at nights. Experience it with our 30 Nights Risk-Free Trial! 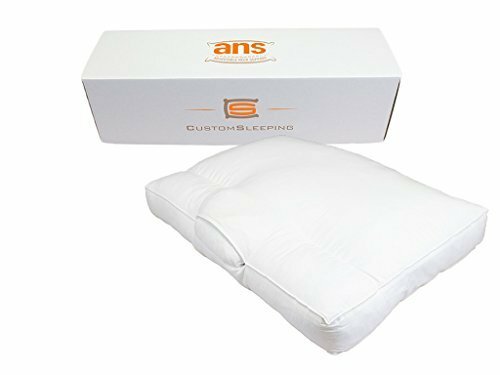 The ANS Pillow is a fully adjustable sleeping pillow for back, side, or stomach sleepers. 100% Machine Washable, Hypoallergenic & Dust Mite Resistance. 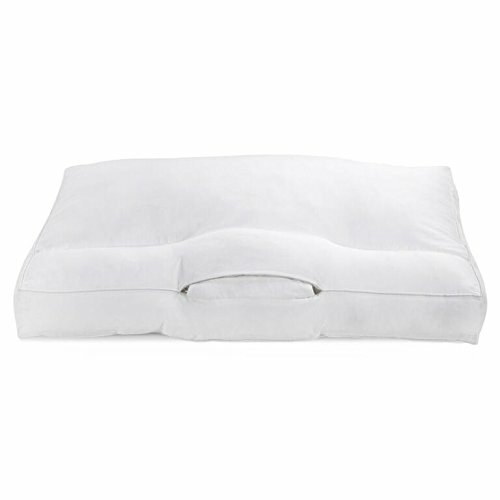 5 Year Limited Warranty, Queen size: 17.5"x 26" x 3"